I want to help you experience higher states of consciousness so that as a 'Gentle Touch Support Group Organiser' you will have directly experienced the effects of this new practice; to awaken to Universal Love Presence. All Gentle Touch members are equal to each other in terms of spiritual development. This means there are no leaders or teachers in the conventional understanding. The Gentle Touch support group then becomes a wonderful light of pure awareness, a new star of higher consciousness radiating love for the benefit of the whole world; an oasis of love and equality within the community. At a group sharing the divine becomes the leader and creates the highest good and development for all the group members. The only aspect to be learnt by members is the practice of connecting to the oneness unconditional love energy. This is fully explained in the membership download you will receive. When you are a new member you will also be helped and guided by existing members; this means that everyone in the group becomes a unique leader. The objective of Gentle Touch group facilitators is to support and establish 'Gentle Touch Oneness Love' communities where they live. The group organiser will bring together a group of people who wish to be part of a meditation group, in which members will move into higher states of consciousness, in turn helping people to move into higher states of consciousness globally. You don't have to be awakened to run a group as this is not a teacher guru lead group. 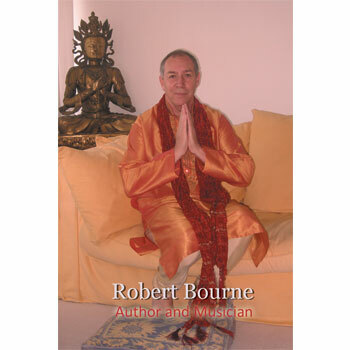 The role of the 'Gentle Touch' and 'Gentle Mind' event organiser is to provide a weekly or monthly friendship gathering where local members can can practice and share the two new practices of Gentle Touch and Gentle Mind; the event then becomes a celebration of life being shared in love and divine bliss. This role is for you if you enjoy facilitating a group to support others. Those who hold a group also find additional benefits, financial/material, health and emotional benefits coming into their life as a result of their commitment to helping transform mankind's consciousness. It is simple to understand, what you give out will come back to you. No previous experience is required to become a Gentle Touch Group Organiser as we will provide all 'Gentle Touch' event organisers with a personal attunement to deepen their connection to inner love and pure awareness. The meetings you will hold are to clear the mind, stopping the constant internal mind chattering by a 'Pure Awareness' practice. 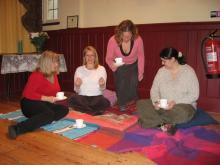 This is then followed by the group practice of ‘Gentle Touch’ to experience and share Love. Most importantly when a group of Gentle Touch members come together the consciousness is raised by the square root of the number attending the meeting. This event must be a Bliss on earth experience! Every Gentle Touch organiser will create a closed Facebook group for their Gentle Touch members; this is a spiritual community group network page where the group members can freely share anything, and most importantly be able to support each other in their awakening process. We intend to to have a find a group locator on our website as this network grows. Every Gentle Touch organiser, or anyone wishing to promote us, can become an affiliate and receive a 10% share of each new member's joining fee. We want everyone to benefit and have included the option to create join now buttons which can be shared by email or on Facebook for others to join your group. Please see the Affiliates Program page for more information. We do not take any share of your weekly group entrance fees. We ask you not to run this as a profit business model but understand that you need to cover your expenses, such as room hire etc. Our interest is in transforming the planet's consciousness so we can live in new world of co-operation and love for all of mankind. When oneness love is more fully experienced on this planet then the need for self interest will disappear and with it the business model in the current world social structure. It is important to note that if you are drawn to this role it adds to what you are already practicing or offering others. You therefore do not have to stop doing what you are doing to start this new practice. This is all about awakening to the source of your spirituality; therefore it is not a new path but a way to illuminate all other practices and aspects of your life. The Gentle Touch objective is in creating as much value in society as possible through the development of people. When people change through personally awakening to love, the world and the natural environment also change. "Gentle Touch is the right teaching at this time to take mankind's evolution a stage further." "It important to know I did not set out to write these teachings they just emerged through me." Life's purpose is to live in endless eternal love, in the stillness of Pure Awareness. This is the Oneness of existence being expressed through its individual unique different life forms. We are all this. Once experienced you can enjoy all other human beings, animals, the natural world and all of creation becomes an awesome wonder. It becomes a grateful privilege to be a human being. It becomes an eternal joy to be alive, right here, right now.